I woke up in my tent to discover- almost shockingly- that I’d gotten a good night’s sleep. I was in the Camping and Caravan Park in Dufton, a little over halfway through the Pennine Way. For this 268-mile walk, I was carrying a very heavy (heavy to me, anyway!) pack, my tent and sleeping pad adding to the weight. I only ended up using my tent for two nights on my 15-day walk, and maybe it seems a bit unnecessary to have carried all that extra weight for only two nights of camping. But honestly, having that tent set my mind at ease. I had reservations for every night along the trail, but the thing was, this route was kind of tough. There was never a point where I thought I’d need to cut a day short and pull out my tent and make camp somewhere, but I think having that option added an extra layer of security to the walk. 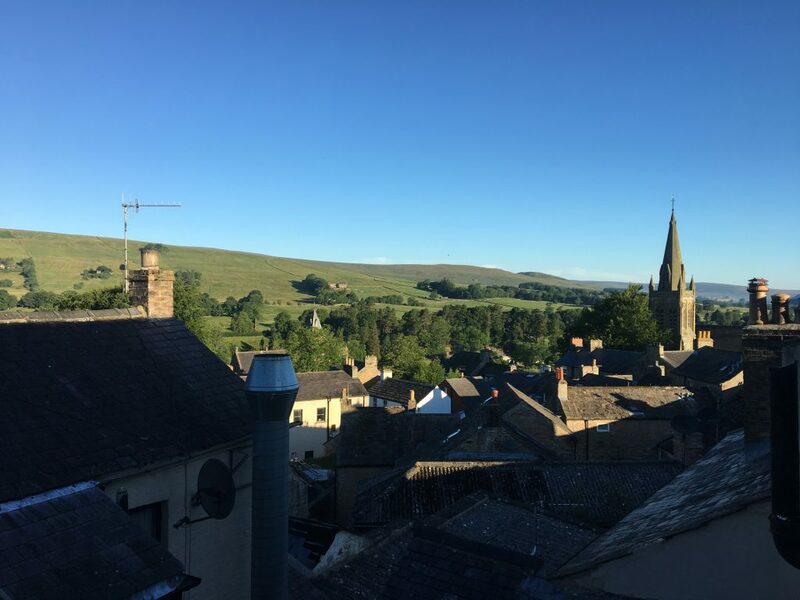 In any case, the night in my tent in Dufton was the second and final night of camping on the Pennine Way, and overall, it was a good one. The temperatures were warm enough (unlike my first experience in my tent! ), and I was so tired that I fell asleep quickly and easily. After I woke up I broke down my tent and attempted to dry it out in the very early morning sun (dew drops everywhere!) while I got ready for the day. But there was really nothing to linger over- I didn’t have a stove so I couldn’t make myself a cup of coffee, and there were no open shops or pubs where I could have breakfast. So I wiped down the tent as well as I could and then stuffed it back in my pack, figuring I would really dry it out somewhere along the day’s walk (turns out that I forgot all about the damp tent and had to later air it out in my tiny B&B room, but that’s for later). 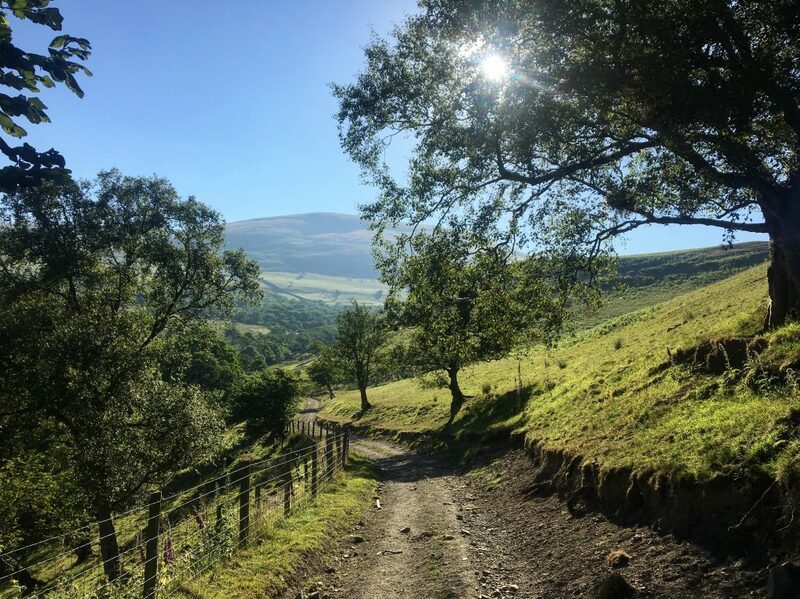 I left Dufton, heading out for day 11 on the Pennine Way, and there wasn’t a soul in sight. I like this kind of walking, the kind when absolutely no one else is around, but to be honest, I was pretty nervous for the day’s hike. There was going to be some difficult walking, with a lot of elevation gain, up through the mountains where I wouldn’t pass any resources until nearly the end of the stage. Normally this might not be so bad, but the previous day had me spooked. I’d walked on very, very tired legs for the entire day, and I was dreading the possibility of more fatigue. What if I couldn’t make it up the final mountain? 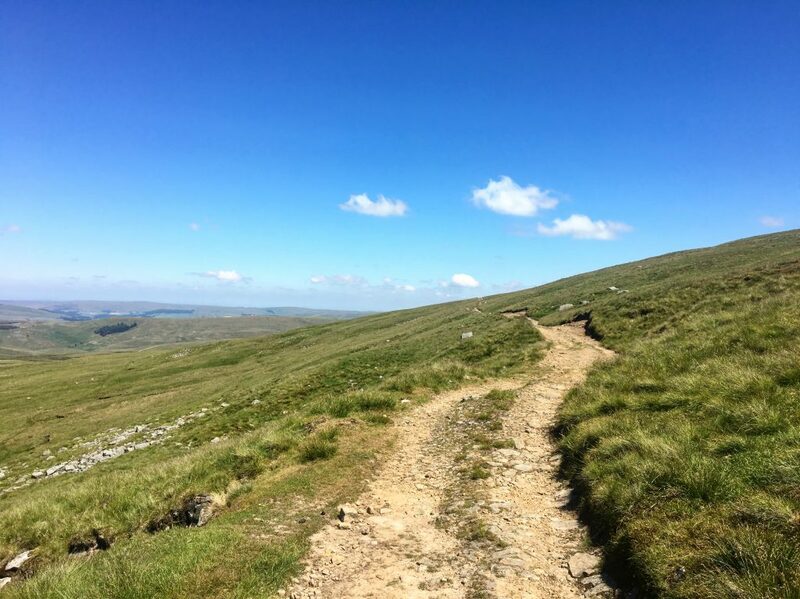 What if I didn’t enjoy the walk, what if I couldn’t have any fun, what if the rest of the Pennine Way ended up being a long, slow slog through the last bits of northern England? These fears and also, I would be doing the 19.5 miles on no coffee. No coffee! Yes, the day before I’d only slurped down a bit of lukewarm instant coffee but at least it was something. But this day held no possibility of caffeine, and this might have made me more nervous than anything else. I remember how, on my first Camino, I walked through the Meseta for maybe 13-miles before my first cup of coffee, and my head was pounding and I was grumpy and didn’t really want to talk to anyone. But those were 13 flat miles with a much, much lighter pack. Uncaffeinated on the Pennine Way might be a whole other kind of beast. But at least my blisters were totally gone! I’m not sure if I’ve clarified this in the last few posts or not, but it’s a good time to mention that my feet had completely healed, and I was totally free of blister pain. Little victories! 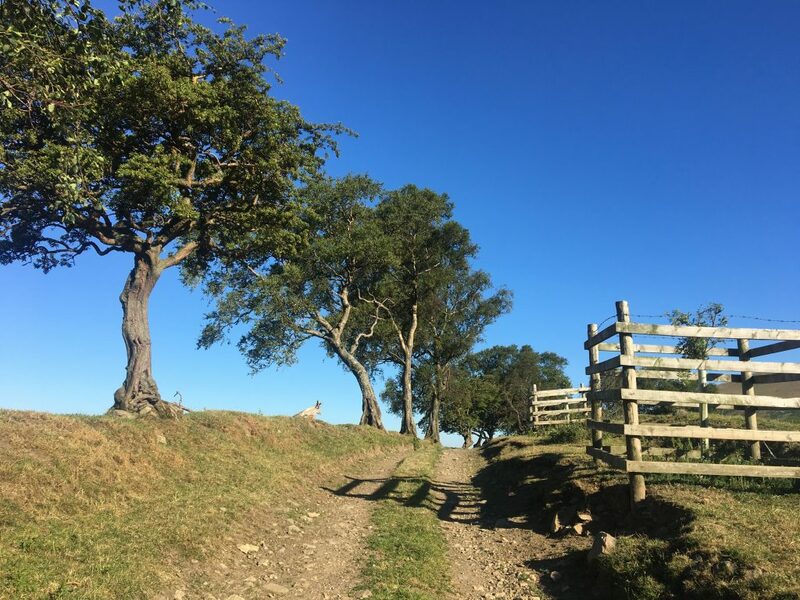 Full of fears but free of blisters, I set out from Dufton and began a gradual ascent on a lane that passed through several farms. When I reached the ruins of Halsteads, I passed through a gate and was in the open countryside and heading for those big hills. At this point the walking became a little steeper, my breathing became heavier, but I was feeling okay. I stopped for a sip of water, I felt okay. I kept walking, I felt okay. I took lots of tiny pauses and breaks in my climb up to Knock Fell, the first summit of the day, but incredibly, I continued to feel okay. The bone-weariness feeling of the day before had lifted, and I had my hiking legs back. 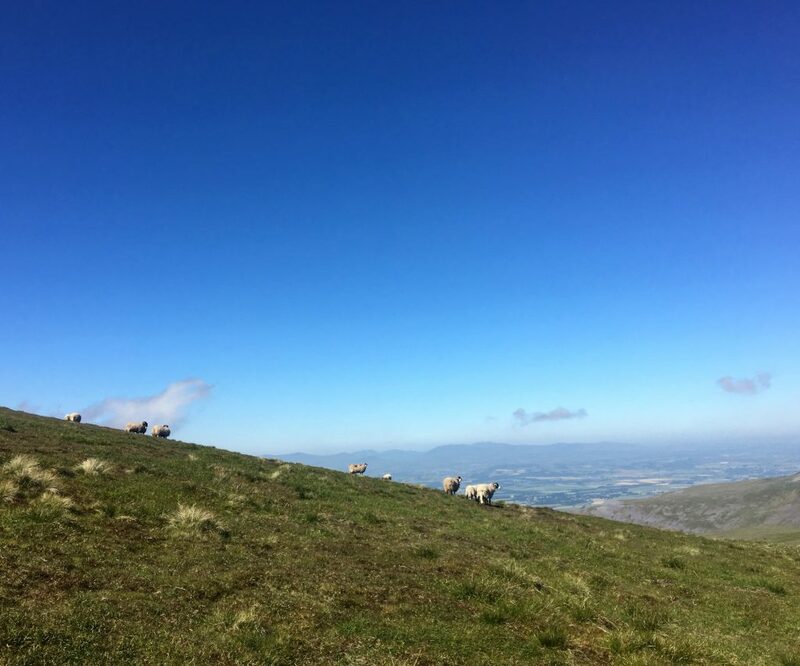 This isn’t to say that 1500ft ascent up to Knock Fell was easy, because believe me, I stopped to catch my breath quite a bit (but with another clear day, I was able to see all the way to the Lake District!). 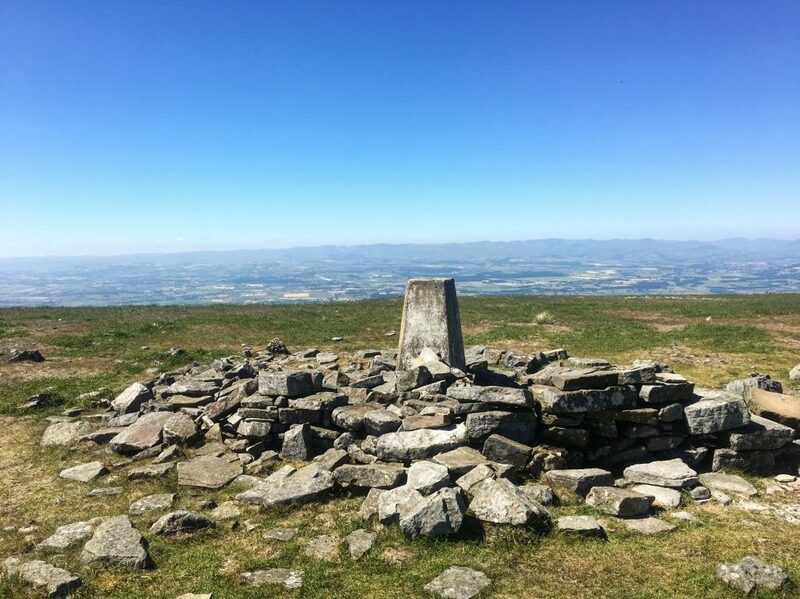 I stopped only for a small break when I reached the trig point- just enough time to take off my pack and drink some water- but then I continued on. As long as I was feeling strong, I wanted to keep walking. 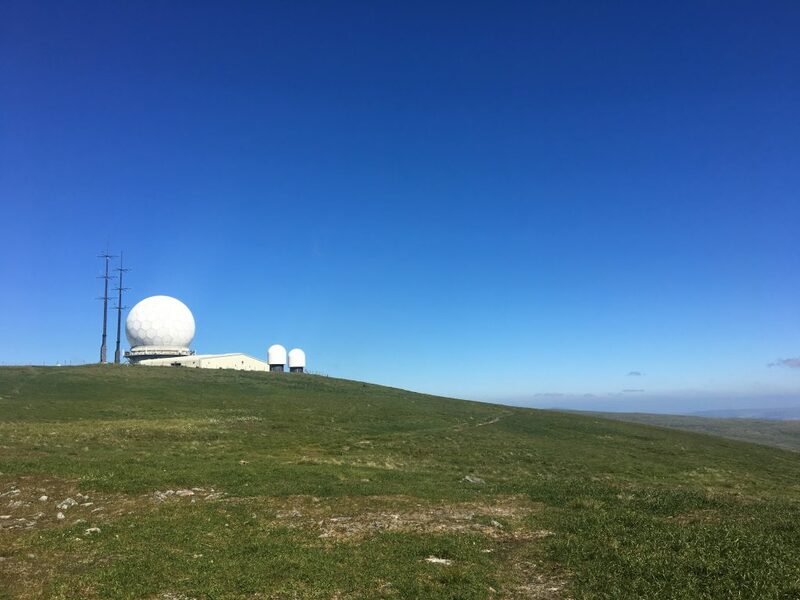 Down from Knock Fell, onto stone slabs for a bit of level walking and then back up again, higher and higher until I could see the great white dome of the weather station growing larger in front of me and soon enough I had arrived at Great Dunn Fell. 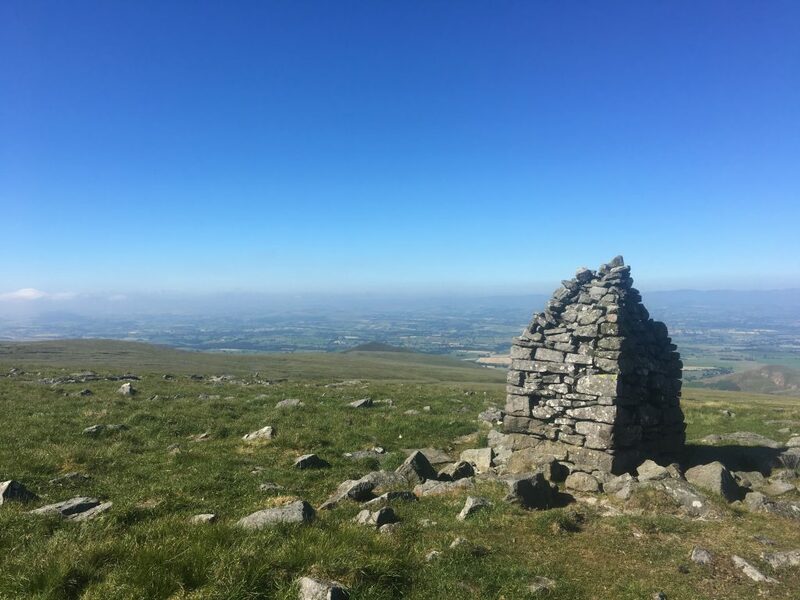 I didn’t take off my pack this time, only pausing for more water and a fist raised in victory and then I continued on, down then up then down and then up, up, up, all the way to Cross Fell, the highest point in the Pennines. Up at Cross Fell I took off my shoes and socks and stretched out in the sun. I’d waked 8 miles and still had 11.5 to go, but from here it would be mostly downhill. I knew I would be okay. Nearly as soon as I started the descent from Cross Fell, I saw several men running up the hill towards me. They were breathing heavily, totally focused and wearing racing bibs, but each one took a moment to nod and say hello as he passed. I continued down the hill, a few more men ran by. Then a woman, then another man, and as I looked down through the fields I could see a line of them. Another race! 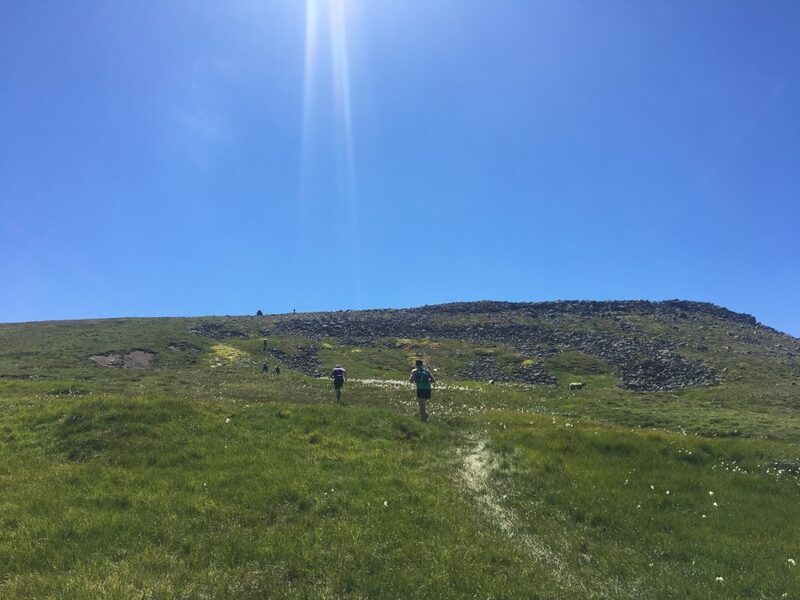 You know, there’s nothing like seeing a mass of people running through the same hills I was huffing and puffing over to make me realize that what I was doing wasn’t exactly extraordinary. That’s not to take away from my own accomplishment, but still, all morning I’d been totally alone, battling the inner voices that had me questioning whether I had the strength to climb each summit, feeling like I was in wild countryside, on my own epic course. Then, suddenly, here come the runners! Nothing to do but smile and say hi to each one as they passed, and continue walking. There was a point where I had to help direct some of the runners- they’d gotten confused and couldn’t see the runners ahead of them, but since I’d just walked down where they would have to run up, I was able to act as a guide. “It’s up that way!” I yelled, pointing up the hill, my voice carrying away with the wind. “Thank you! !” the runners yelled back. From here the Pennine Way continued on a rough and rocky dirt path that wound for nearly 8-miles down through the hills and towards the village of Garrigill. At first the walking felt rather easy as I picked my way around the larger rocks, but soon my feet grew tired. 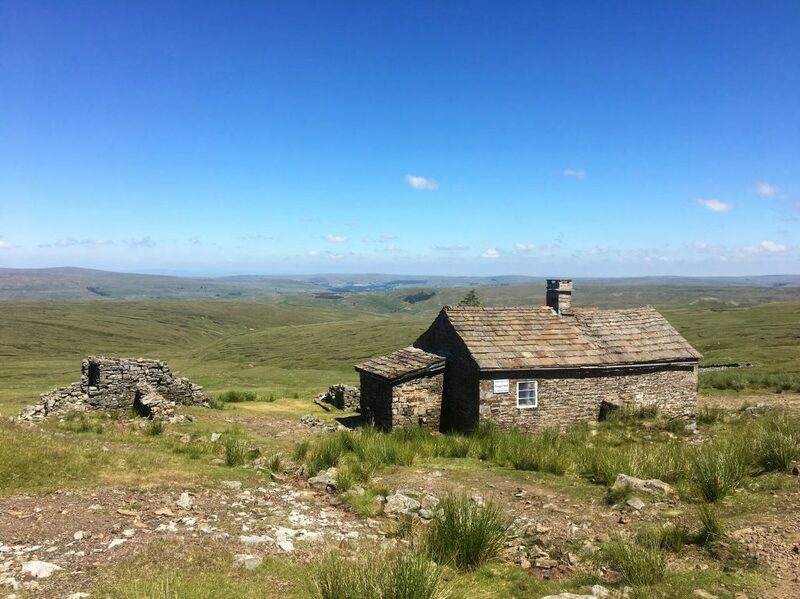 I passed the lovely stone structure of Greg’s Hut, another place that would be a relief to stop in during bad weather, and a little further on, resting on the hillside, was the Dutchman. 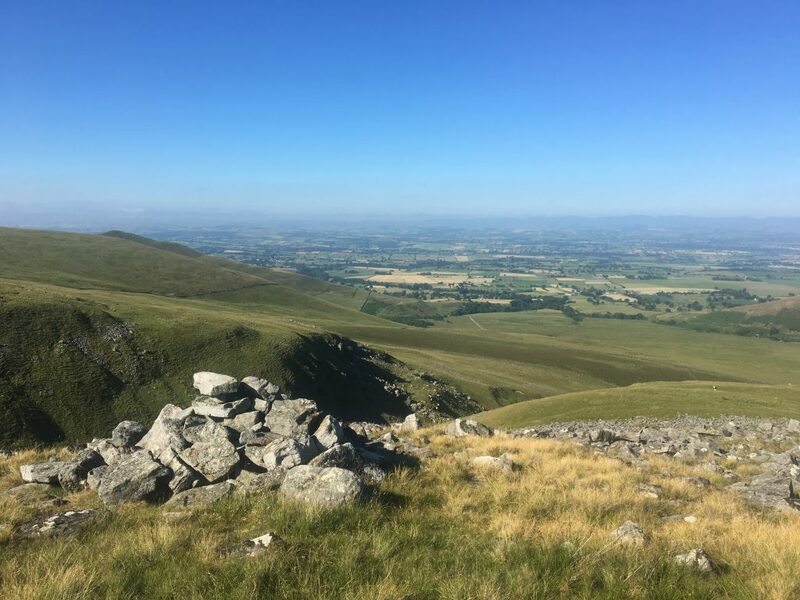 We waved at each other as I walked past, and then I continued on and on, further down that rocky road, the bottoms of my feet protesting as the miles accumulated. Arriving in Garrigill was, indeed, a relief, but I didn’t stay long. I stopped and used a toilet but then kept walking, wanting to push on to Alston where I could finally put my feet up after a long day. The rest of the walk wasn’t as bad, and honestly I can’t remember much. I’m pretty sure I was on auto-pilot, just moving forward until I arrived in town. And then, when I finally walked into Alston, I felt a bit triumphant. It had been a long day… it had been a long several days, and I’d made it. There’s something about staring down a fear or a challenge, walking into it and walking through it, and coming out on the other side. 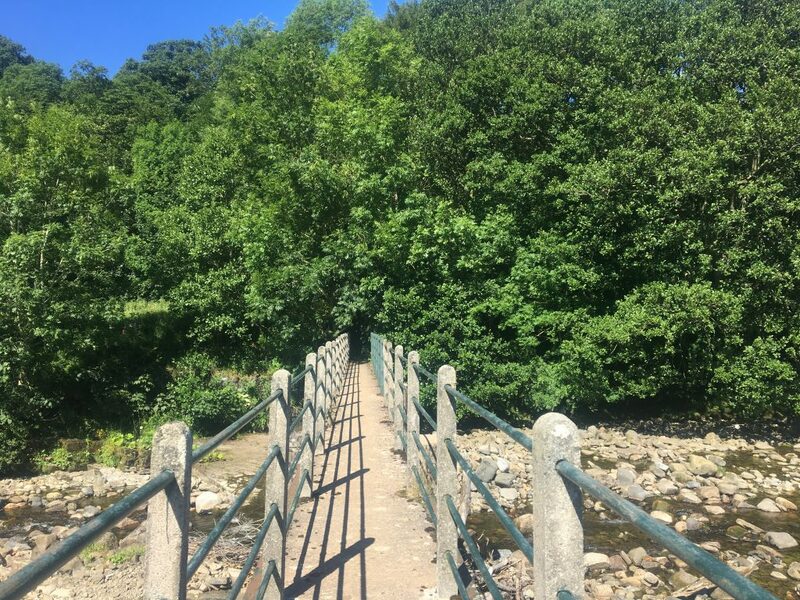 With my arrival in Alston I only had four more days left on the Pennine Way, but I think this was the first moment where I felt like I could do it. That it didn’t really matter what else came my way: unless something disastrous happened, I was going to be able to finish this walk. And what better way to celebrate a feeling of accomplishment after 19.5 miles and 3500 ft of ascent on no coffee than with a night in a B&B? My reservation for the night was in the Victoria Inn, a small and relatively cheap establishment on one of the main streets of the village. I was welcomed and escorted up to my tiny room on the top floor of the building, and the owner apologized over and over for how small the room was. But when I walked inside I couldn’t stop grinning: the room was perfect. Yes, it was tiny, with just enough room for a bed, a dresser and a little nook with a sink and a mirror, but I didn’t need anything more. 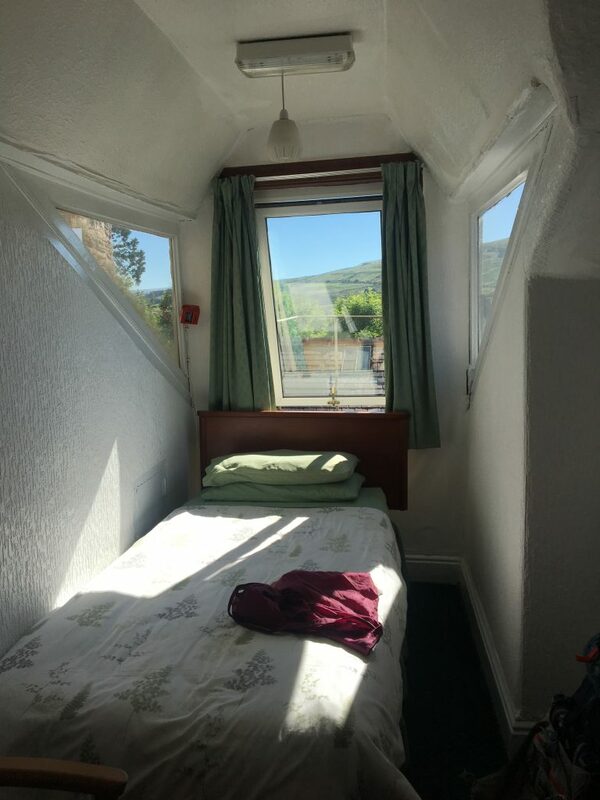 There were three windows surrounding the bed with views over the rooftops of the village. I instantly fell in love with my little nest, deciding that I would only leave to go out to look for food. And that’s what I did. 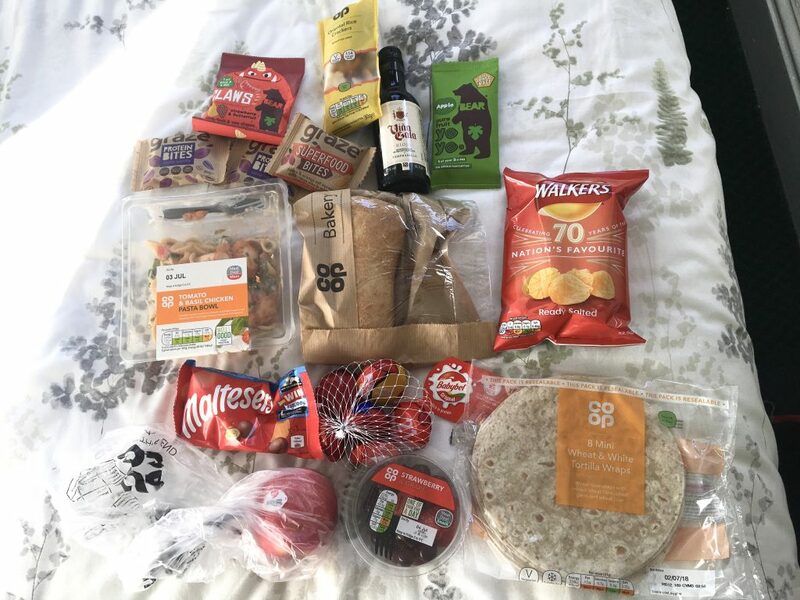 I aired out my tent and took a shower and washed my clothes and hung them from the curtain rod over the bed, then set off for the grocery store where I bought dinner and hiking snacks and lunch supplies and tiny bottles of wine. I took my loot back up to my room, opened a bottle of wine and a bag of chips, and sat on a pillow on the floor in the corner of the room where I could get wifi. I spent the evening feasting and relaxing and writing in my journal and reading- you guessed it- a few chapters of Jane Eyre. It was a good day. A long, tough day, but a good one. And now, with only four more days left on the Pennine Way, I was in the final stretch.